Rock & Roll Hall of Fame inductee and Kinks co-founder Dave Davies has been making up for lost time since suffering a stroke in 2004. He’s released two solo albums between now and then, including 2013’s I Will Be Me. On October 28th, 2014 Red River Entertainment will release the guitarist’s third studio album in the past decade, Rippin’ Up Time. Davies’ distorted, high-flying guitar was a signature part of the Kinks’ “British Invasion” era sound, his infectious riffs providing songs like “You Really Got Me” and “All Day And All Of The Night” with their visceral punch and undeniable energy. His original material, like the U.K. hit “Death of a Clown,” showed Davies to be as talented a songwriter as he is a musician. Although his conflicts with his brother and fellow Kinks bandmate Ray Davies are the stuff of legend, Dave stuck it out until the band’s break-up in 1996 after better than 30 years. Davies was inducted into the Rock & Roll Hall of Fame in 1990 as a member of the Kinks. Although Davies released a few singles as a solo artist during the 1960s, he didn’t really launch his solo career until the 1980 release of his self-titled debut (also known as AFL1-3603). In between touring with the Kinks, Davies released solo works like 1981’s Glamour, 1983’s Chosen People, and 2002’s Bug. Davies songs have been featured in films and on TV, including the HBO series The Sopranos, which used his song “Living On A Thin Line” in a third season episode. 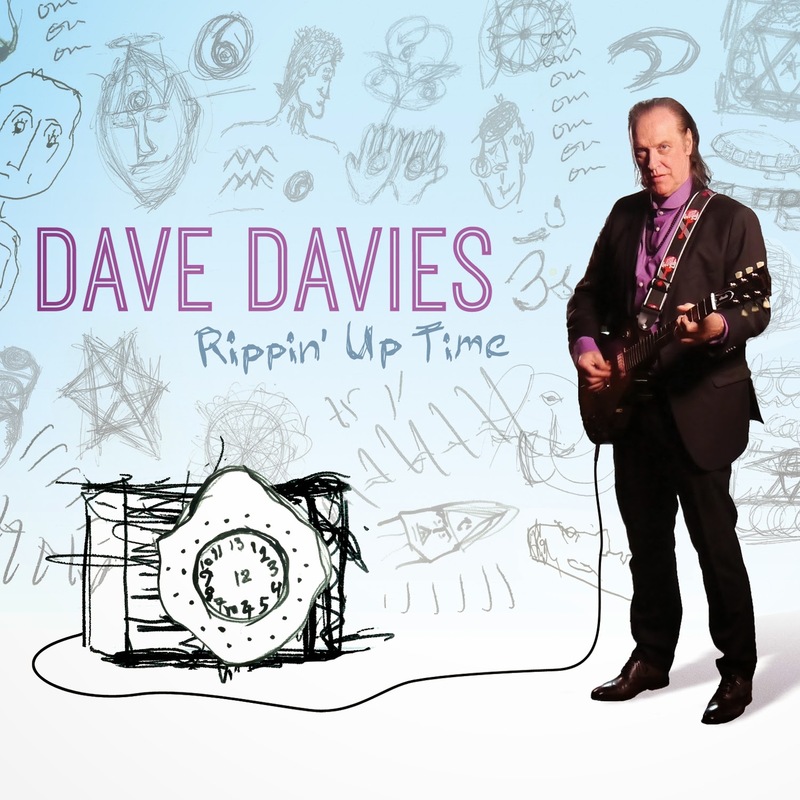 Rippin’ Up Time is Davies sixth solo studio effort, the bulk of which was recorded this summer in Los Angeles with producer David Nolte. They put together the album in just six weeks, the two playing virtually all of the instruments themselves; Davies’ son Russell, handled vocals on two songs. As for the material, it’s said to be lyrically introspective while still showcasing Davies’ distinctive and hard-rocking guitar style.